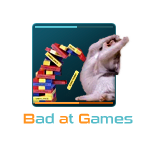 But Scyron also said Bad at Games class is pretty good at group content. We can code an exception for BaG. I'll let Jey know. Does this still apply to c2? Yes, but graphics are a little desynced, so it might be harder. Shooting V2s isnt an art, there is literally no skill or risk involved. V2 is actually really stupid now that the tracking has changed and isnt worth sacrificing weapon diversity, a tractor, fuel space, OL, what ever you had to take off to put the V2 on. I only used V2 to kill SDs and that was before they changed the tracking system, and only in tandem with my slaves grem. V2 is a sniper weapon for when they get 100% analysis. Bump? This made the V2 10x more effective for me.